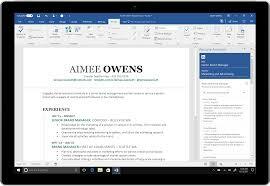 The next time you need to work on your resume in Word, you can get a little help from LinkedIn. Microsoft’s latest LinkedIn integration, since acquiring the professional network in 2016, will see it leveraged in Microsoft Word to help Office 365 subscribers craft their resumes. Previous articleWhat’s A Lawyer Now?